A new year has begun and 2017 has already proved to be historic as we advocate for energy efficient design. That advocacy must continue as we strive to provide solutions to the many problems facing us today. It is time to roll up our sleeves and renew our dedication to the promotion of the passive house standard, and we hope that you will too! Then please, renew your Passive House Northwest membership! One of the most important ways we strengthen our community is through our membership. By renewing your membership you will help support the Passive House Northwest mission while netting some excellent benefits, like a reduced registration rate for our events. Speaking of events... Please join us April 6-7 in Olympia, WA, for our 8th annual Passive House Conference! This informative event will have some truly excellent content with speakers covering a wide range of topics, vendors showcasing the latest-and-greatest in building innovation, and a chance to network with some of the pillars of the green building community. Keep an eye on our website for more conference information. In other exciting news, we here at Passive House are happy to announce that John Miller has joined our team! John will be working with us through April to further our mission by cultivating strong community awareness in his role as our Interim Activities Manager. Welcome John! Stay tuned - early registration will open soon! Upcoming Training & CEU Opportunities: CPHC and WUFI Trainings Coming Soon to Seattle! This spring we are launching a streamlined online platform for the virtual Phase I of the CPHC training program. Apply for acceptance to the program using the form listed under the "Apply for Admission Today" section. Only once you have received notification of acceptance to the program may you proceed to register online at the CPHC Training Schedule & Registration page. This is Phase II of CPHC training following the online portion; both Phase I and II are required to successfully complete the course and to be eligible to take the final exam. Phase II is five days of in-class instruction with the final online exam being administered during the afternoon of the last day. The exam requires separate registration and can be accessed here. Apply for acceptance to the program using the form listed under the "Apply for Admission Today" section. Only once you have received notification of acceptance to the program may you proceed to register online at the CPHC Training Schedule & Registration page. Since 2013, WUFI Passive has been the best practice software tool of choice for passive building design in our trainings and certification processes. It is the most accurate tool currently on the market to predict the performance and comfort conditions for passive buildings. This course focuses on the static design side of the tool and is an ideal opportunity to upgrade to this more advanced and versatile software tool. Taught by Prudence Ferreira, one of the most experienced consultants in the country who also happens to have the most large scale certified and pre-certified projects under her belt, this is also an opportunity to get firsthand advice and instruction on how to handle larger projects in the software tool. Spots are limited, so register today! The Rocky Mountain Institute (RMI) Innovation Center in Basalt, Colorado, winner of the 2016 PHIUS Passive Projects Competition, pushes the boundaries of scalability for commercial passive buildings from coast to coast. The full case study is now published on the PHIUS Case Studies page. 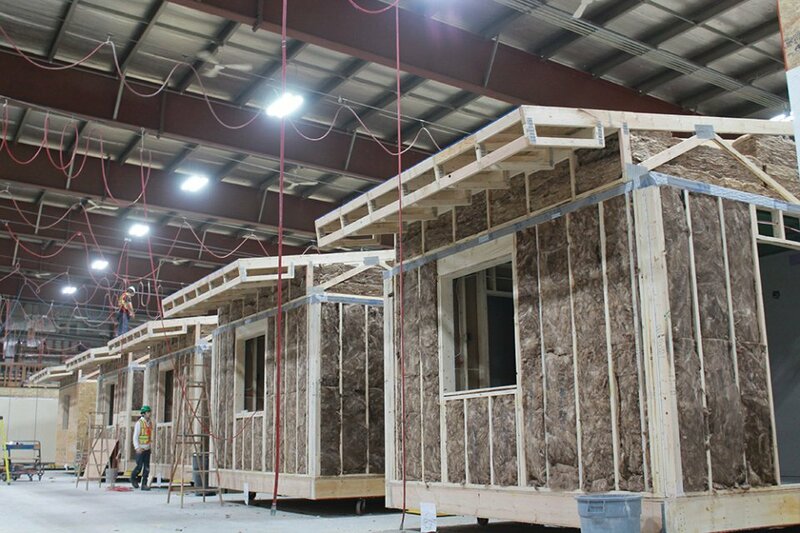 To advance RMI's mission and propel the industry, RMI developed the Innovation Center to demonstrate how deep green buildings are designed, contracted, constructed, and occupied. The project achieves net-zero energy, producing more energy on site annually than it consumes--one of only 200 buildings in the U.S. to achieve this distinction as of 2015. Is the most energy-efficient building in the coldest climate zone in North America, with a predicted energy use intensity (EUI) of 17.2 kBtu/sf. You can view the building's real-time energy consumption here. "For us, the appeal was not only are we being environmentally conscious, which is very important to our chief and council," Sedore said, "but also to build housing that is beyond minimal acceptable standards. "We want something better, and our membership deserves better."